Make a style statement with the Dela Holdall. 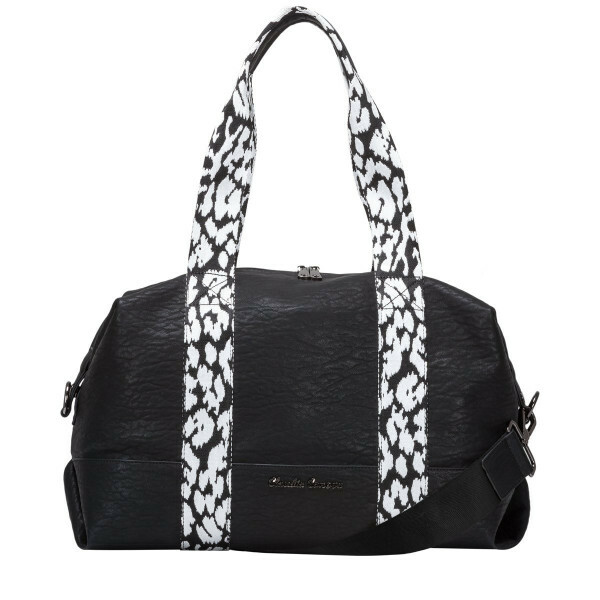 The lightly textured exterior meets the statement straps in a monochrome print. 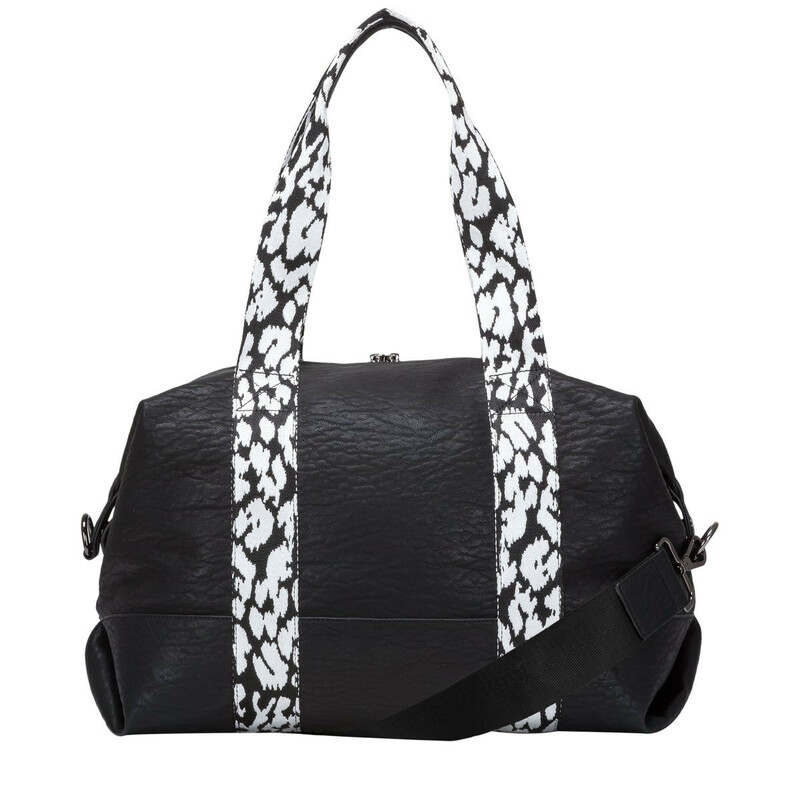 Attach the shoulder strap and wear as across the body for versatile styling. 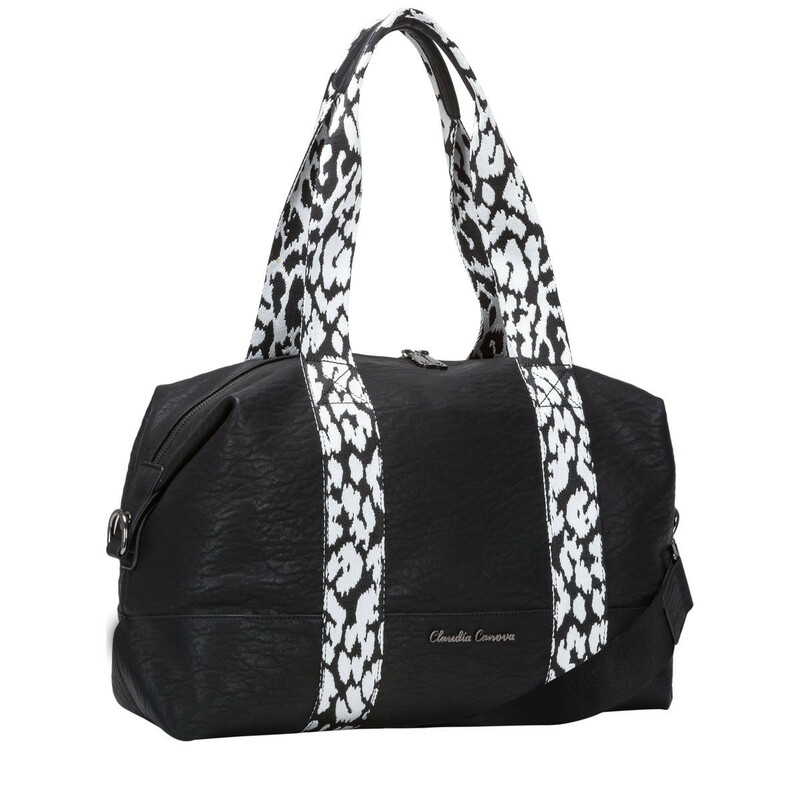 The gunmetal hardware gives it a dramatic finish and inside reveals a contrast bright fuchsia Claudia Canova branded lining. The spacious interior and inner slip pockets provide plenty of space for all your essentials.